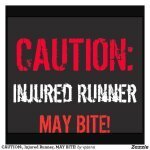 NordicTrack SpaceSaver SE9i Elliptical Trainer Reviewed! 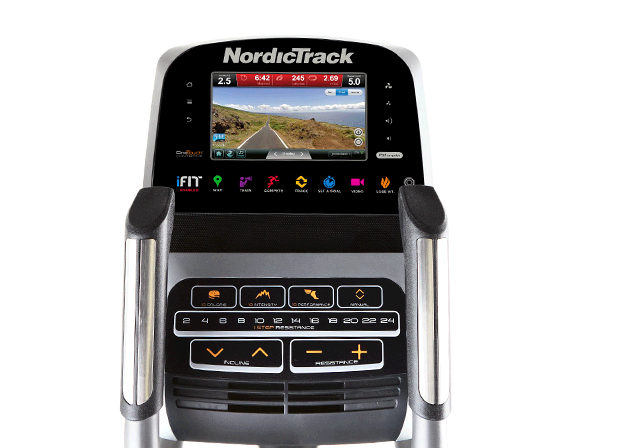 The NordicTrack SpaceSaver SE9i elliptical is the elite elliptical machine in the NordicTrack SpaceSaver series offering superb high tech console features. This compact elliptical trainer is designed to easily fold away, complete with wheels for moving in your home. The SpaceSaver design offers a truly small storage footprint. Are you a techno gadget lover?! If so you will LOVE the SpaceSaver SE9i as it has a 7" web enabled touchscreen display, giving you a full online experience as you train. This lets you select functions quickly and browse the web, watch online videos or even check your email and social media! Stay cool with the built in automatically adjusting fan and if you don't use headphones you can hear your favorite tunes through the 2 speaker sound system. 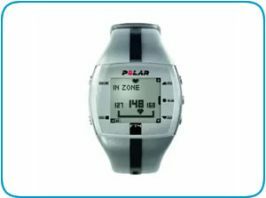 It's also compatible with iFit - a great workout app - track your own workout on Google Maps or work with a personal trainer. 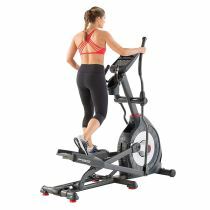 The rear mechanism stretches out the elliptical path of the pedals, creating an ergonomically ideal stride path that feels more comfortable and natural during your home workout. Complete with 24 resistance levels, and an incline ramp sloping up to 10 degrees, plus 30 workout programs to choose from, the NordicTrack SpaceSaver SE9i elliptical trainer will guarantee you an effective workout in the comfort of your own home. Check out this cool video of this best space saving elliptical machine! 1) Rear-drive design delivers a flatter, truer elliptical path that closer resembles natural stride ergonomics. 2) Oversized pedals offer options for wide or close feet placement. 3) The heel-to-toe angle of pedals can be adjusted for comfort. 4) Extra-tall workout arms allow you to perfectly position your grip height. 5) The flywheel weight is not too heavy or too light for a natural-feeling stride rhythm. I found the NordicTrack SpaceSaver SE9i elliptical to be one of the quietest machines I have ever used. There’s no vibration in the drive train, and the pedal action is supremely smooth. With 24 digital resistance levels, the quick, responsive, OneTouch™ controls adjust your resistance to burn more calories. With SMR™ Silent Magnetic Resistance, every adjustment is quiet, smooth and natural. 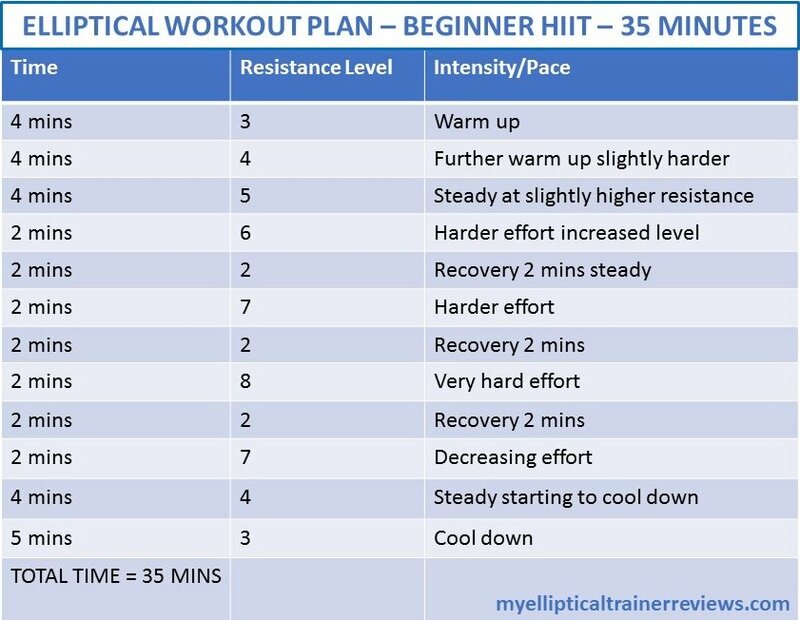 Here’s a few more details on some of the key features I found in this great trainer. A revolutionary interactive training program, iFit® technology helps you get much more out of each workout. The iFit module is included, however you do have to purchase the iFit subscription. This is well worth doing to access online workouts, track your progress replicating real runs with Google Maps, or have the benefits of a personal trainer. So you can customise your workouts to suit your own goals! Easy Storage – Fold & Store! 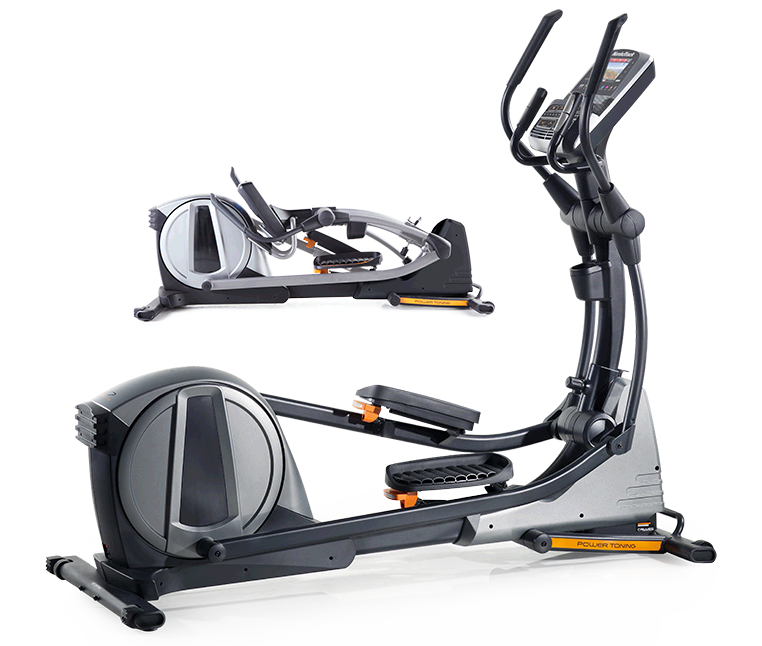 The NordicTrack SpaceSaver SE9i elliptical is big on features but offers a very small storage footprint at 32″ x 28″. The arms fold down and the entire elliptical machine can fold up on the front base. It can then be easily stored in a closet or corner of your apartment. 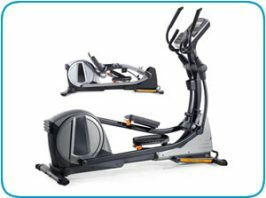 NordicTrack state the SpaceSaver SE9i is their fastest, easiest fitness machine to assemble and I can vouch for this. The machine comes almost complete and has a simple snap assembly in 3 easy steps. The machine can be ready to use in approximately 15 – 20 minutes. 2 people are recommended to assemble the machine but one careful person could do it, however be aware it is pretty heavy so you’d need some help to get it into the room you’re going to exercise in. Most other websites state a Lifetime frame warranty plus 3 years parts & 1 year labor, however, when you look at the NordicTrack website the warranty is actually Lifetime frame, 5 years parts & 2 years labor. The NordicTrack SpaceSaver SE9i elliptical will not disappoint! How can users not like the super console giving you the chance to track workouts in Google Maps, surf the web, check email and social media while working out?! Unless of course you are not a gadget geek – the SE7i in the same SpaceSaver series is the entry level version and is essentially the same machine without the high tech features and is offered at a slightly cheaper price. 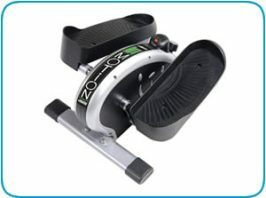 Click here for further details of this alternative option for a space saving elliptical trainer.